BERLIN (Reuters) – Workers at German warehouses of U.S. online retailer Amazon.com Inc <AMZN.O> were called out on strike by labor union Verdi on Wednesday as part of a long-running dispute over pay and conditions. Verdi said in a statement it was calling on workers at three of the nine Amazon warehouses in Germany to join the strike, which will run until Dec. 24. 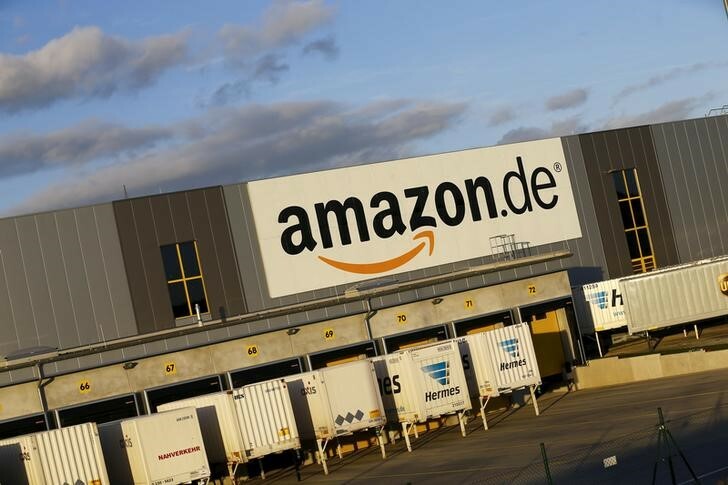 Workers at Amazon’s warehouse in Koblenz already launched a strike on Monday. Germany is Amazon’s second-biggest market after the United States, with 11,000 warehouse staff plus thousands of seasonal workers. A Verdi spokeswoman said the union expected several hundred staff to walk off the job at each warehouse. Verdi leader Stefanie Nutzenberger said the strike would cause disruption and higher costs at Amazon, noting delivery trucks had been backed up for kilometers waiting to be loaded during a recent stoppage at one warehouse. An Amazon spokesman said it could not yet say how many workers were joining the strike but it did not expect many to take part. “There is no impact on our delivery promise: Christmas presents will arrive in time,” he said. Verdi has organized frequent strikes at Amazon since May 2013 to press demands for the retailer to raise pay for warehouse workers in accordance with collective bargaining agreements in Germany’s mail order and retail industry. “Constant checks, heavy workloads and physically stressful activities lead to an extreme strain on the workforce, which is especially evident in the Christmas business,” Nutzenberger said in a statement. Amazon has repeatedly rejected the union’s demands, saying it believes warehouse staff should be paid in line with competitors in the logistics sector, not as retail staff.